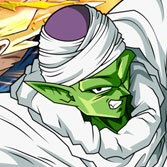 Team Z2 has released a new character for Hyper Dragon Ball Z - Super Buu. This is 10th official playable character in the game. You can see him in action in the video below. How to download and add to the game? 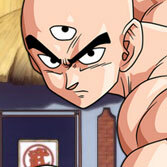 You can download the latest version of Champ's Build already included Buu from our download section. If you don't want to download the whole game, you can only download Buu files and paste them into your game copy. How? Details below. Extract the downloaded file using WinRAR. 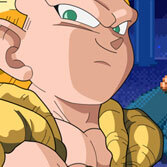 Copy the BuuZ2 folder and paste it into the HyperDBZ/chars. To add Super Buu to the character select screen, you can paste the attached select.def file into HyperDBZ /data. If you modified the select.def file earlier, you'll lose all changes made to it. If you don't want to use the premade select.def file, you can modify this file in your copy of the game. Just open HyperDBZ /data/select.def in Notepad and replace one of EMPTY lines with BuuZ2, BuuZ2.def like on the image below. Developers are working on a few new characters. 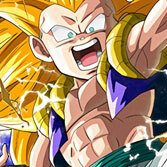 Team Z2 officially announced Gotenks, Krillin, Android 18 and Tien. The latest Super Buu release video showed another character - Perfect Cell. Who will be next? When will the new characters be released? Nobody knows that. Team Z2 making Hyper Dragon Ball Z in spare time. You can help them via Patreon (Balthazar, Barker). Remember that no donation is too small. Let's keep Hyper DBZ going!